TP1S and TP1SM Touch Trigger Probes - CMM Inc. The TP1S/TP1SM is a forceful and reliable probe that is especially suited for manual CMMs. It is available in two versions with various plug socket orientations; the TP1S cable connects vertically and the TP1SM cable connects horizontally. The TP1S/TP1SM has an M3 stylus mount and can carry a wide range of styli. The probe signal is carried to the CMM by an external cable, and the probe has an adjustable stylus force to help optimise its performance. 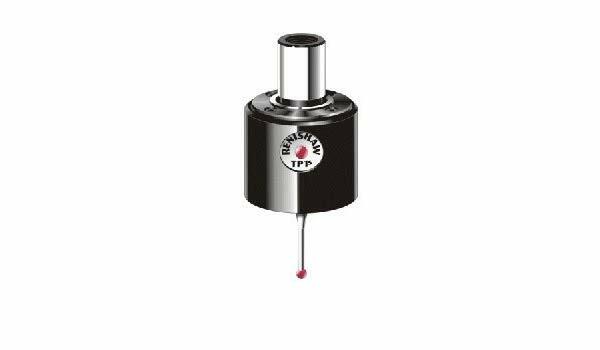 The TP1S system comprises the TP1S probe and a suitable interface; PI 4-2, PI 7-2, PI 200 or UCC. Meanwhile, the TP1SM is similar to TP1S, but with the cable connector rotated at 90°.